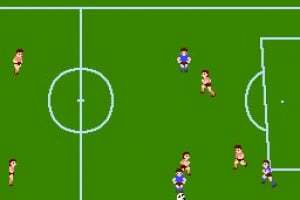 Experience the first ever football game for the NES! 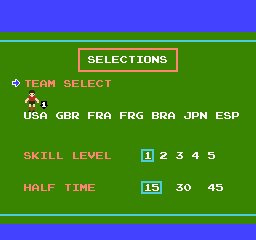 Soccer offers a choice between seven national teams (Brazil, Germany, Spain, France, England, Japan and the USA) and five different difficulty levels. Play solo against the computer or compete against a friend in the two-player mode. 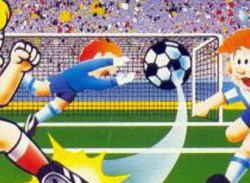 Soccer was also one of the first football games to include penalty shootouts at the end of regulation time, and also features an entertaining half-time show! Played this on Animal Crossing. 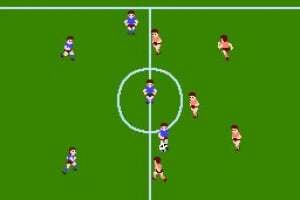 It was free in that game and even then, I felt cheated! This reeally is a steaming pile of crap. 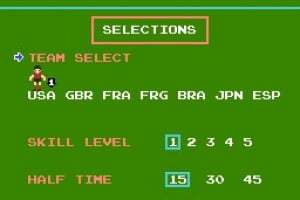 Heck, even that NES world cup game would've been a better choice. Why would Nintendo bring this to the Virtual Console instead of something better? That's a dumb question! Would anyone spend money on this title if better versions of soccer were available? 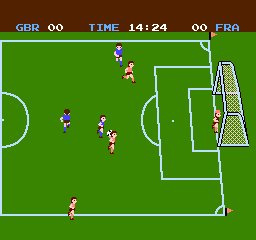 If World Cup was available first no one would download this game and Nintendo, like all companies are in the business to make money. 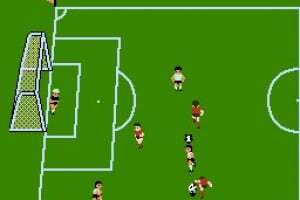 Bring back Goal! from the NES on VC. 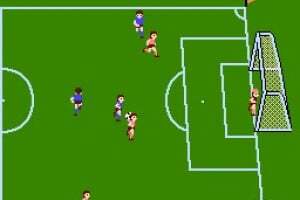 I loved that game! That's quite a wild assumption there, dk. 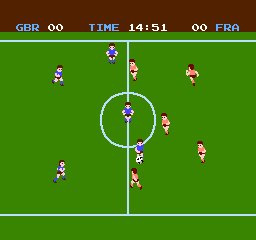 Of course there'll be people who would splash out 500 points for THIS version of football even if better titles were made available from the start. The same logic can be applied to most of the other games on the VC whose sequels were or have been released first, and arguably much better than the original games. This review suddenly made me remember Goal and World Cup. 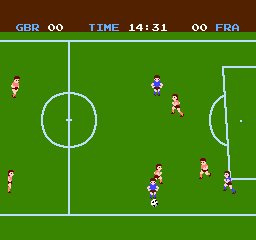 World Cup had some kind of power backflip kick which pretty much worked always though but I'd buy it for nostalgic reasons alone. Albeit it was never that great of a game in the first place, I did enjoy this on Animal Crossing. It's kinda fun. its simple, but its fun. I just received this on Animal Crossing, and it's AWFUL. I just turned it off after 2 minutes and vowed never to play it again! this is one for nostalgia only. If you guys want soccer action, just get Mario Strikers Charged. why are the players on the front box wearing equestrian hats? Judging by how bad you say this is, it'll be the last NES game I get on Animal Crossing, though I don't have the password for Ice Climber. I am not going to download this. I don't have much interest in soccer ( I am a Vball player all the way). 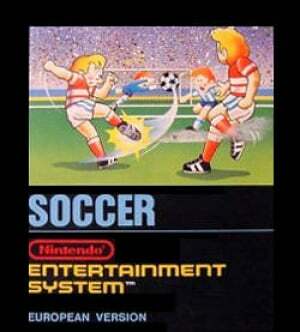 However I do own Nintendo World Cup for the NES and it is a good game. Nintendo better release that sometime in the future. I also really want all of the volleyball games to be added, as well as one of my favorite games, Sim Ant! I need to play this again! A real dissapointment. 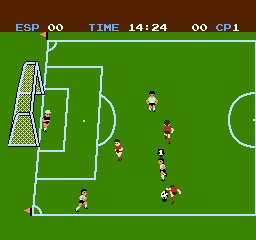 I bought it because it was the first game that featured offside but the rest of the game is horrible. No tackling, an impossible targeting system and a real lame game. Nothing compared to the great "Nintendo World Cup". i wish you can rate games 0 stars, because thats would rate this piece of crap! I don't think it's as horrible as everyone else here, but I admit, it's not a whole lot of fun. I liked NES Tennis much better. The game hasn't aged well, but might be worth a shot if you love simplistic old-school sports games, or if you want to collect ancient Nintendo-made titles. This game is pure garbage. I picked this one up at a local pawn shop a few years back and it wasn't even worth the $1 I paid for it. Defienetly not as good as Ice Hockey and Blades of Steel, but still okay.